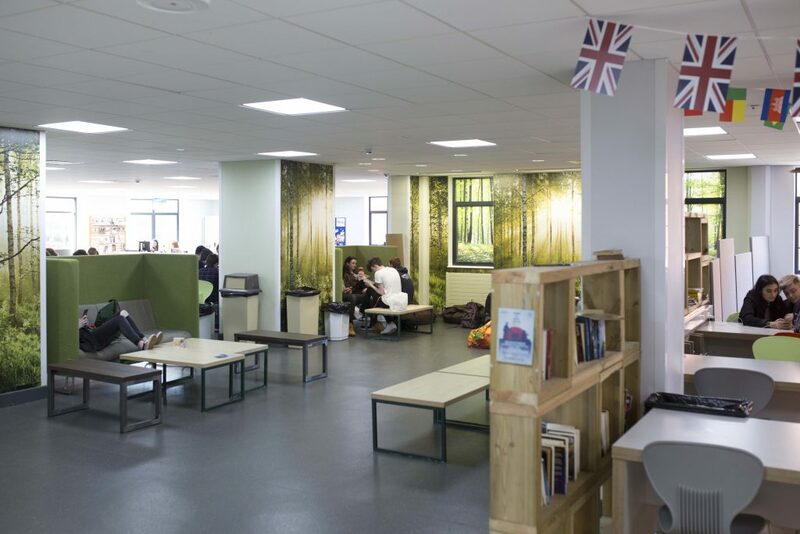 The common room at the Bridgwater campus is known as The Hub, and is a popular meeting place for students during their breaks and free time. The Hub is a large space with areas for relaxing on beanbags and sofas or for plugging in your laptop and catching up on some work. The College Shop is here too, selling drinks, snacks and stationery. The Students’ Union is based in The Hub and organises clubs, societies and College parties. See them for you NUS discount card as well! You’ll also find the Student Support team here, who can help with any aspect of support, from finance and transport through to counselling and welfare. The team are happy to answer any questions and can arrange appointments with other support services within or outside the College.